Boat is located in Ormond Beach,Florida.Please contact the owner @ 386-871-four nine six seven or oldsalt302(at)aol(dot)com. 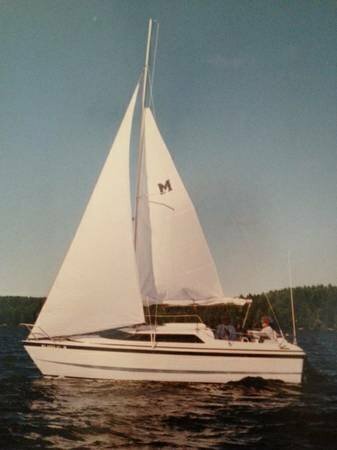 This fine motor sailor, built in 1996 and sailed mainly in fresh water is being offered for sale by its original owner. The 8ft. beam allows for trailering virtually anywhere. 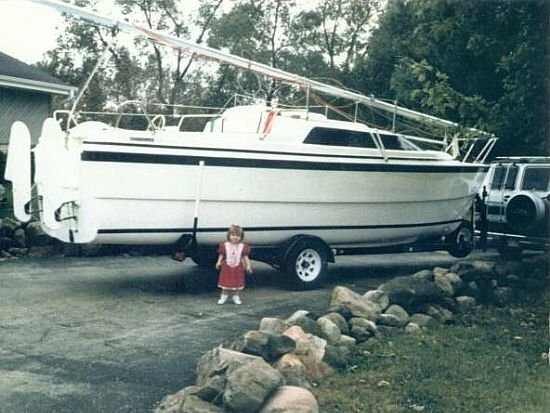 Water ballast reduces trailer weight so a large towing vehicle is not required. We have a Durango SUV for our use. 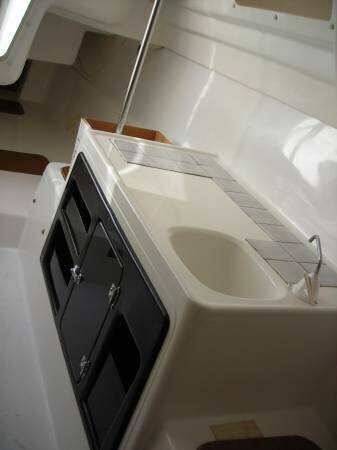 This boat has a swing keel and dual rudders to reduce the draft and avoids grounding in shallow waters. All standard equipment and features of this model are in good working order. Details are available for interested parties and the list is long. 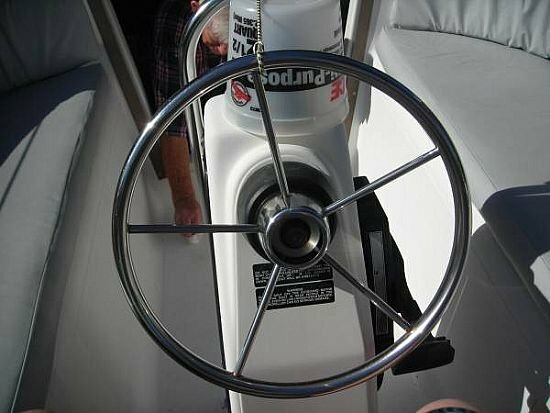 A 50hp 4 cylinder 4 stroke Mariner engine outboard engine provides power when not under sail power. 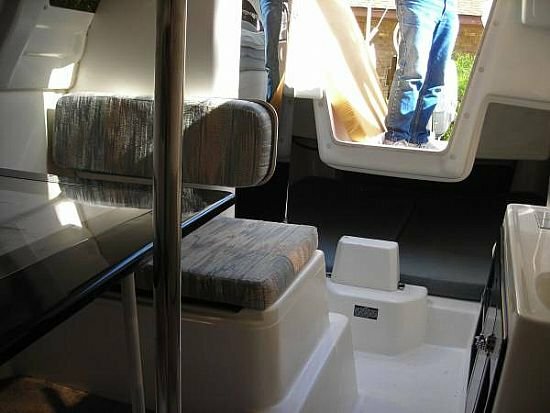 This boat is a mini cruiser that will sleep six and has an enclosed toilet(head). 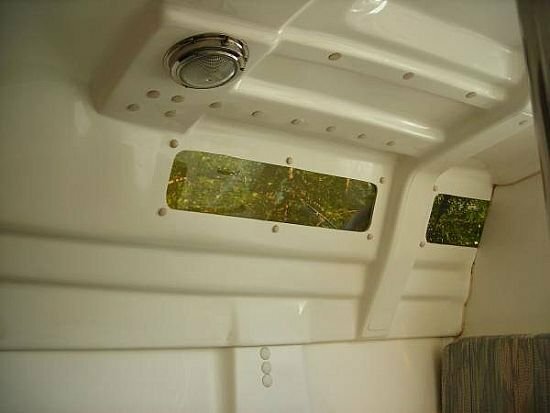 Interior and exterior cushions are in excellent condition. Please review the attached pictures. 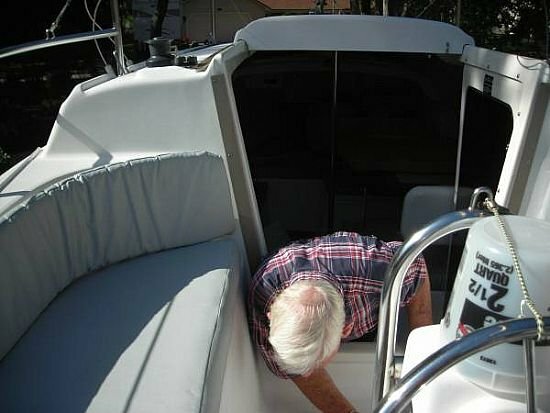 Our boat is located in Ormond Beach, FL and can be viewed by appointment.